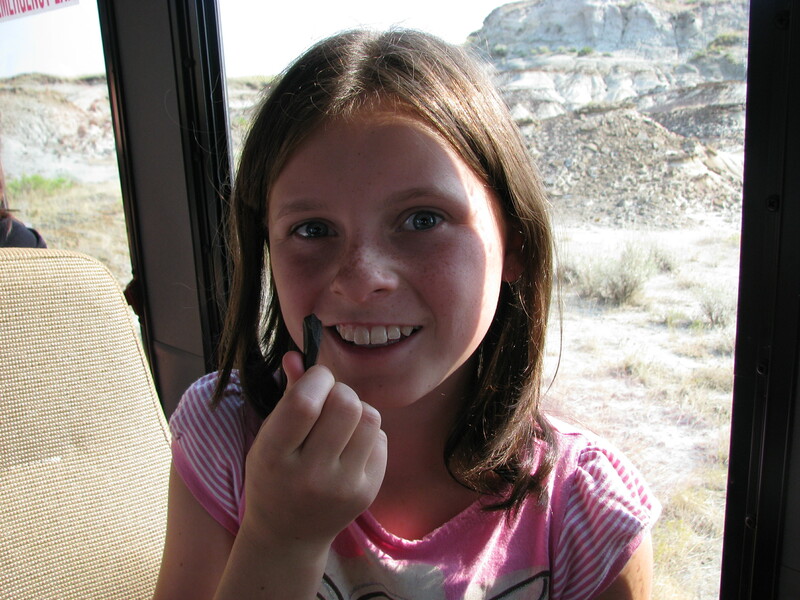 As we said in our Dinosaur Provincial Park review, if you know anyone obsessed with dinosaurs, then you have to go to south-central Alberta. 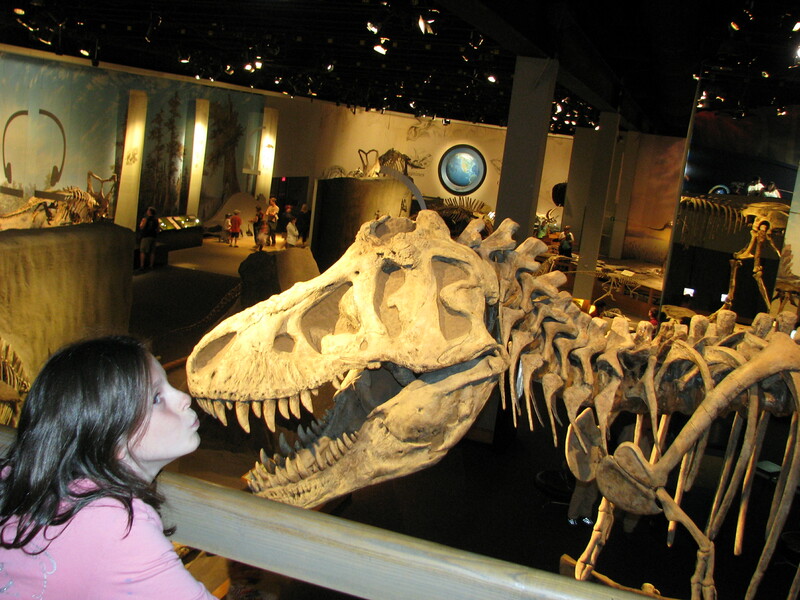 Drumheller is for the dino-obsessed. 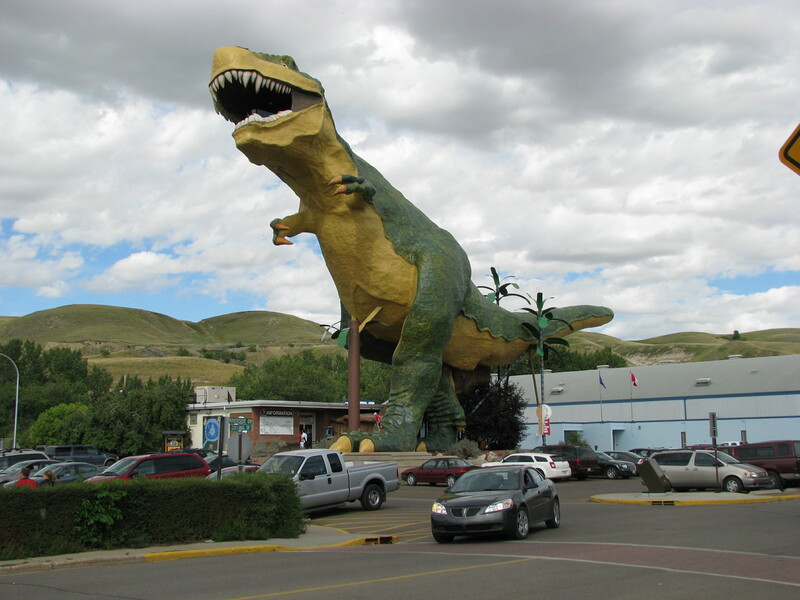 Its must be the dinosaur tourism capital of the world, complete with the word’s largest dinosaur that you can climb up into. 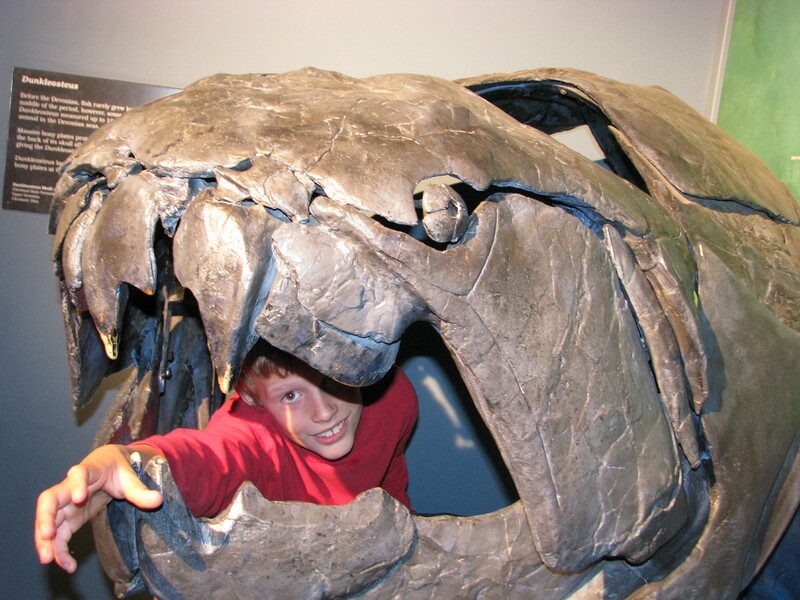 Drumheller is located in an ancient river valley, where the stratified canyon walls make it easy to access millions of year old fossils and bones that tell us newbie humans about our reptilian predecessors. It also makes for very unique scenery during the drive here. Recommended Sites:This park was clean, quiet and orderly. The site was level and easy to get into. 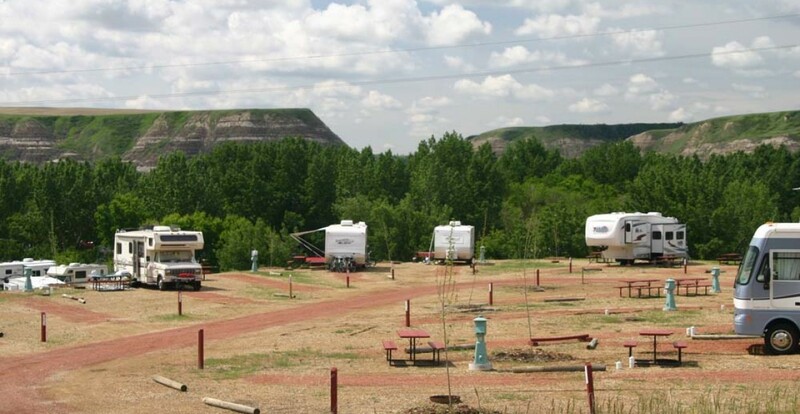 Dinosaur Trails is a typical private campground with streets of side-by-side sites. Its large enough to have a few loops and a couple of group site areas. We chose the main loop where there were some cottonwoods around to help provide a park-like setting, bit of privacy and some shade from the valley’s hot sun. The outdoor pool wasn’t particularly large but provided a cool place to play with the kids. There is a big, spacious bath/shower building with lots of bench room to dress yourself and children at the same time. 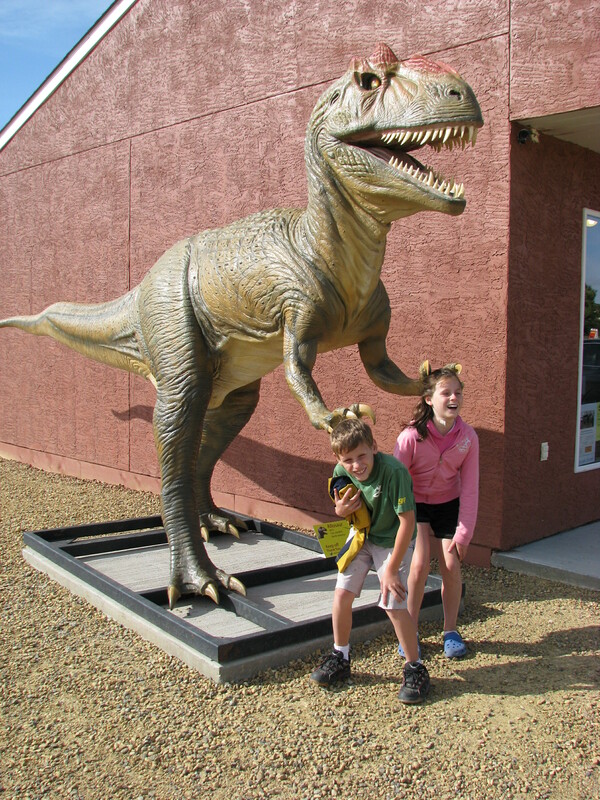 Dinosaur Trails is 15-20 minutes out from ‘downtown’, but it is less than 10 minutes from the museum. Don’t expect to bike or hike to town, as you’d have to take the highway in the heat. 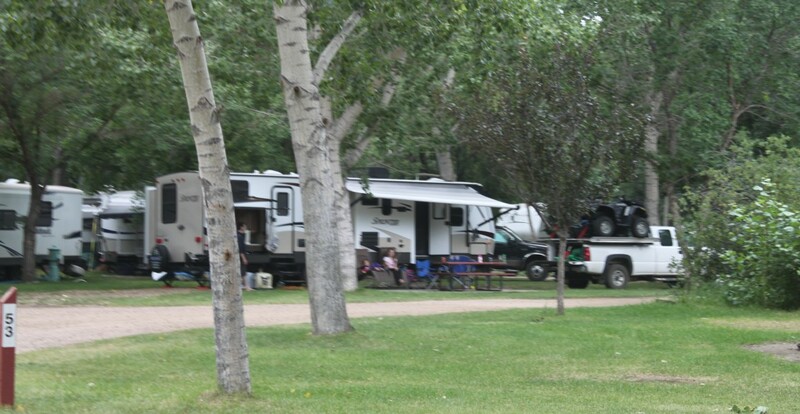 Sites have various choices of amperage, depending on what your camping needs are and how park-like you want your spot to be. Here is their site map. We stayed a couple of nights in the main loop of the campground. It was close to the pool and main shower/wash house. There aren’t a lot of trees or shrubs in this hot and arid climate to provide privacy, but the main loop had relatively more of them. The park wasn’t overly busy while we were there so we didn’t feel stacked up with a bunch of other people. The fellow campers we did see while walking around were very friendly to us, our kids and dog.The East loops weren’t as busy as the main part of the campground. They looked like they were better for big, air conditioned rigs because there were less trees to get in the way of parking. A bit farther from town so more of the camping feel. Too far out of town to bike to/from other amenities like stores. You’ll be driving around. 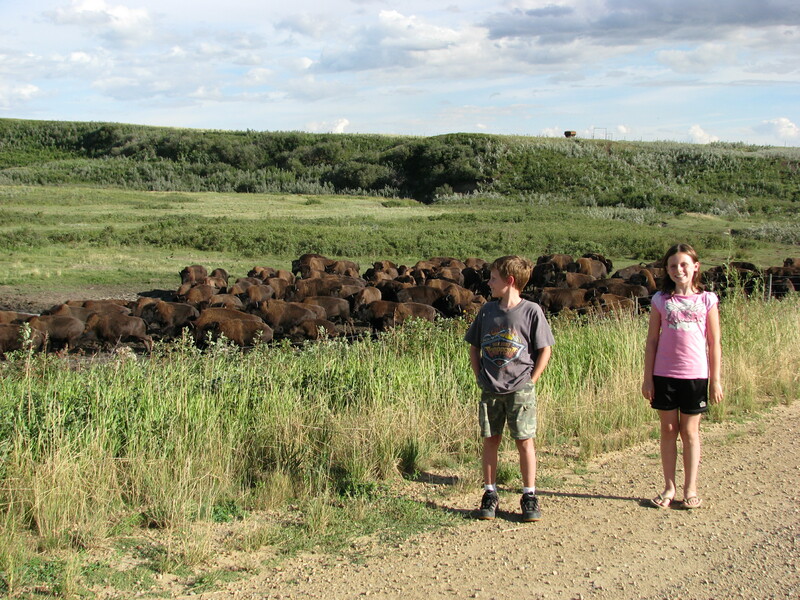 Drive around and look at the canyon walls…and bison ranches. Find a fossil. In the wild or in one of the roadside tourist traps. 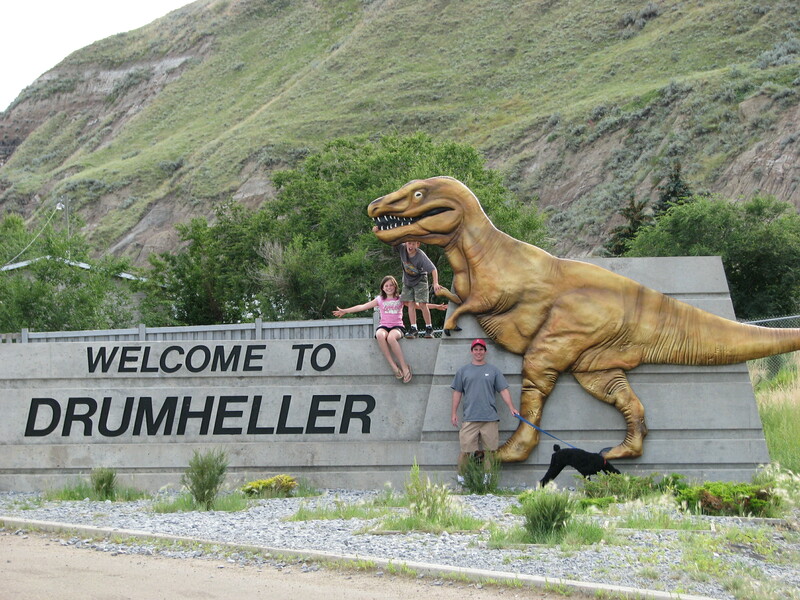 We planned an entire 2 week camping trip around Drumheller because of the Royal Tyrrell Museum and the World’s Largest Dinosaur. 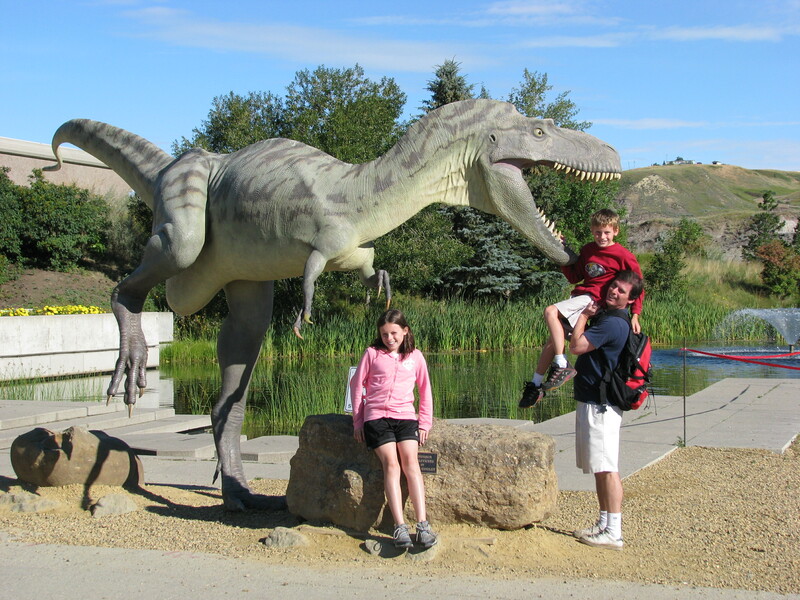 We live 1,000 km from Drumheller so its not exactly on the way to anywhere but our son was a budding paleontologist so we planned the trip around it We blocked 2 days off for Drumheller and 3 days for Dinosaur Provincial Park. The South-Central Alberta dino part of the trip was very unique in terms of geography to look at, and the hands on paleontology activities. You just don’t get that in B.C and I’ll always remember it. 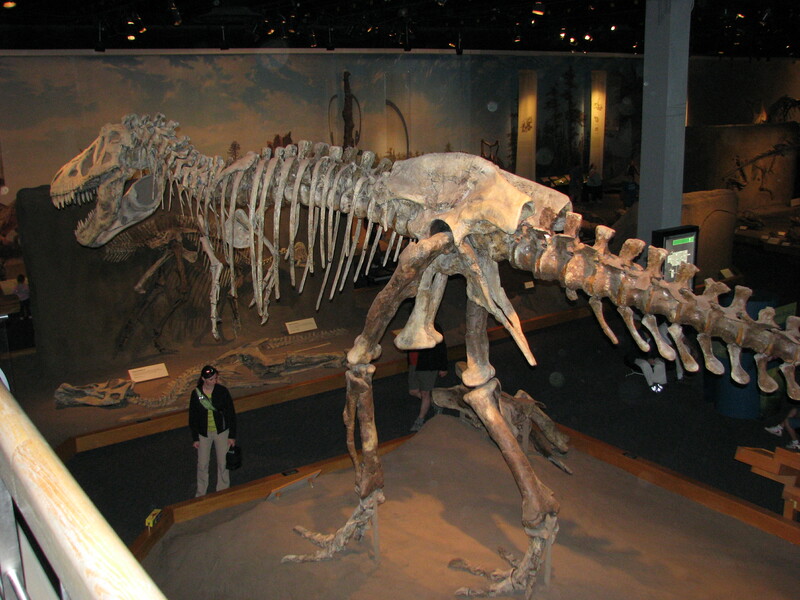 The Royal Tyrrell Museum is very large and packed full of very impressive skeletons, fossils and interactive learning exhibits. It is very educational for old and young alike. We easily spent an entire day there and I would suspect some of you could spend longer. Going in, we knew the museum would easily be a full day and we didn’t want to leave our dogs alone in the campground for that long. There are no dog kennels in Drumheller, so we drove about half an hour out into farmland to the closest one we could find. It was located right next to a very large bison ranch. We stopped to take some photos and we were actually kind of scared as only a little bit of barbed wire separated us from a big heard of these large beasts. They seamed angry and kept having fits of mini-stampedes. We laughed about how safe our dog was going to be out there. Sure enough, when we returned the kennel had a broken fence and a few bison milling around on the front lawn! We stayed in the car for awhile, not certain what to do, but finally got out of the safety of the car and walked to the house. The owners looked calm and explained that it happens all the time. No wonder all the ranchers switched to raising cattle a hundred years ago! The next day we hung around in town. The first and most important stop was the World’s Largest Dinosaur. This one is 25 meters high, over 4x bigger than a real Tyrannosaurus Rex. 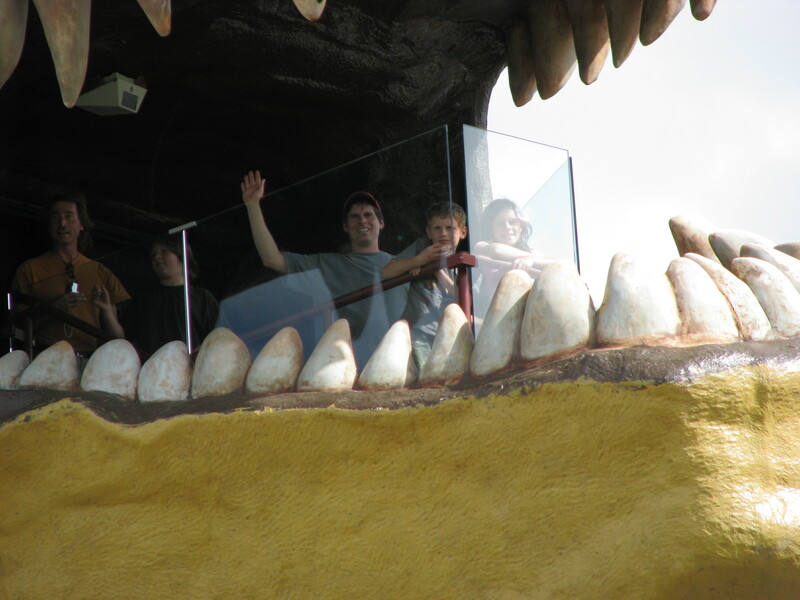 You pay to climb internal stairs so you can sit in the mouth and look out for miles. 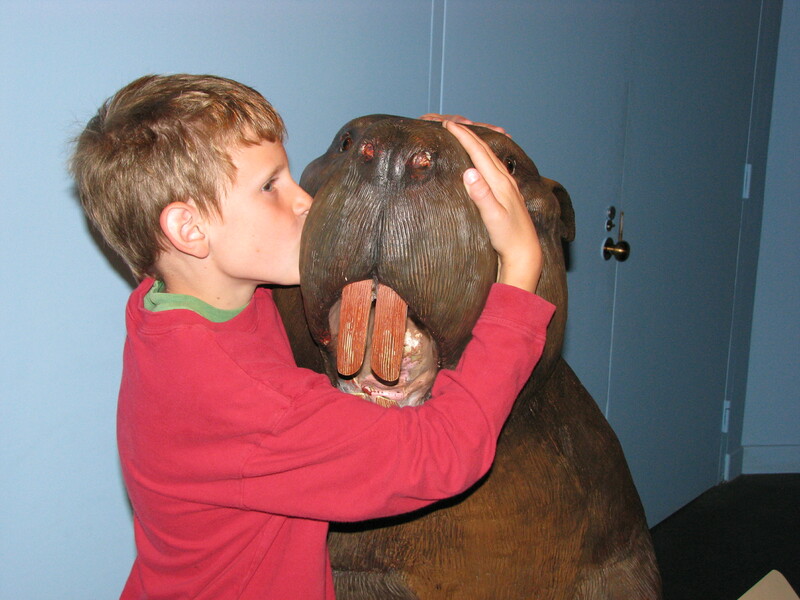 ‘She’ cost $1M to build out of metal and fibreglass and although it is a total tourist trap it is also a must do. I am happy to say that we did it, and have the photos & memories to prove it. One more thing off my bucket list. 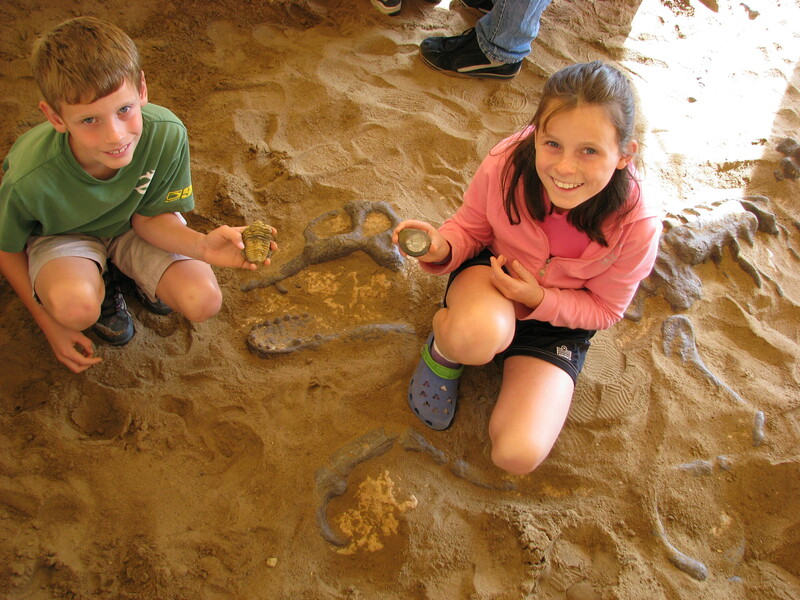 There are a handful of roadside tourist activities around where you can sift through sandboxes to unearth fossils and bones on your own. You can also buy T-shirts, coffee cups and all sorts of really old remnants of prehistorical animals. The kids loved going through the stores and were very happy to make a purchase to show off once we got home. ← Great Camping Items for Fido!